One of the things you have to be prepared for while you travel to higher altitudes in Peru, Bolivia and Ecuador is altitude sickness or “soroche”. You can’t prevent altitude sickness and it is a strange kind of disease that everyone can get; no matter their age or even physical condition. To complicate matters, even the effects of high altitude sickness aren’t always the same. Some people already feel weak at an altitude of a 1000 m, others only above the 3000 m altitude. In general most people feel the symptomes of altitude sickness when they are above 2500 m altitude and/or ascend more than 300m a day and sleep at this higher altitude. If you ascend to an higher altitude, but descend again, this usually gives less problems. 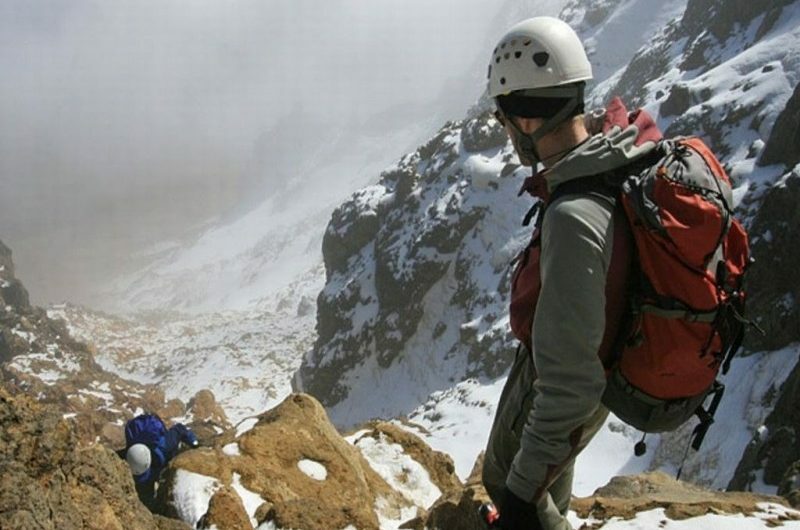 More information about altitude sickness you can find on the Dutch website of Han Willems www.hoogteziekte.info Most of our info about altitude sickness comes also from his site and some of our own experiences travelling with many different tourists. The first and most common form of Soroche is: Acute Mountain Sickness (AMS). Other symptoms on high altitude can be: a bit short of breath, the feeling that you get less air and also dehydration. The second form of Soroche is when you ´collect´ liquid in your head and this starts pressing on your brain. It is called High Altitude Celebral Edema (HACE). These are the symptoms: Usually you first get some of the symptoms from AMS and next to these you get: mental problems, trouble with thinking, calculating, talking, hallucinating and not being able to walk in a strait line. Some people can get HACE without getting first AMS. If you have these symptoms you need to go down immediately (at least more than 300 m) and it is preferable to seek medical attention! The third and most dangerous form of Altitude Sickness is when you get liquid in your lungs, called: High Altitude Pulmonary Edema (HAPE). These are the symptoms according to a congress about this subject in Lake Louise: Usually, but not always, it starts with the symptoms of AMS followed by at least two of the next symptoms: coughing very strongly, total loss of strength, real short of breath and pressure on the chest. In combination with two of the following symptoms: un-usual sound coming from your lungs, get too less oxygen, your heartbeat rises a lot (mostly above 110 beats a minute in rest), you start to breath faster (mostly above 25 breaths a minute), your lips, nose, and nails are getting purple/blue! If you have these symptoms you need to go down immediately (at least more than 500 m), you need oxygen and it is preferable to seek medical attention, they may give you nifedipine (Adalat). The cause of this altitude sickness is because on higher altitude there is less oxygen in the air around us and usually the air is drier. Our body needs to make more red blood cells to compensate the lesser amount of oxygen. For most people this process only takes a few days, but for some it takes longer and sometimes it doesn´t work out at all. When you travel to South America, including Peru, Bolivia and Ecuador, you have to keep in mind that there is unfortunately there is still nothing that can really help to prevent altitude sickness. But you can prepare yourself. Just keep in mind that if you have too much trouble with the altitude the best thing you can do is still to descend at least 300 m or to a lower altitude where you didn’t feel sick before. The most important advise if you go to higher altitude is that you keep yourself calm, especially during the first days. Again listen to your body, take your time and don´t rush things. Drink enough and eat a bit saltier. Drink more than you usually do, because on altitude you not always notice that you don’t drink enough. Two things that can indicate that you don’t drink enough are; when your urine is darker than usual and your lips get dry. Drink about one liter more than usual a day for each 1000 m you ascend; depending on the exercises you are doing. Do not drink only water, especially when you go often to the toilet, this indicates that your body doesn´t absorb the water well enough. In this case you can put a bit of salt and sugar in your water, drink some fruit juices, or Gatorade (or other sport-drinks). In one ocasion one of our group members drunk about 3.5 liters of water from 7:30 am until 15:30 pm and at 15:45 pm she was lying in hospital. She had effectively dehydrated her body from the necessary liqued and minerals and needed to be on the drip for over an hour. Of course this doesn´t happen often, but it is better to be informed. When you are dehydratated, either from high altitude, or diarrhea, it is even better to not drink water, but first drink at least a liter of so called electrolytes. Alternatives to electrolytes can be Gatorade, ORS, fruit juices, ore even soft drinks with sugar, but without gas. You can use Paracetamol against a small headache (aspirine has usually more side-effects, but can be used if you prever). If the headache is too strong for Paracetamol, than you have to descend and/or find medical attencion. Avoid eating meat just before you go to higher altitude, especially when you don´t know how you will react on this. It takes your stomach more energy to digest meat at higher altitude, which gives a bigger change of getting problems with your stomach. Be more careful with alcohol, the effect is stronger on higher altitude, it also dehydrates and has invluences on your capability in making decisions. If you smoke, try to smoke less. Smoking will cost you oxygen. Sun; avoid too much sun. Especially on high altitude the ultra violet light is much stronger. The strong sunlight in combination with a drier air gives a bigger possibility to get dehydratated. Dextrose tablets or Coromida, a stronger version of dextrose tablets (in Peru) are no medicine but they do work a bit against headaches. Try to eat more iron rich food, like spinach and other green vegetables (only worth it is you are really going to do some exercises. There is a medicine that´s called acetazolamide (brand name Diamox). This medicine can prevent the first symptoms of altitude sickness for example with lowering the sour level of your blood and it also work slightly positive on your breathing rhythem. Make sure you drink enough if you use this medications, because it will make you urinate more often. Ask your dokter about other side-effects before you use this medication. The general recommondation if you decide to use this medication is to take 2 times a day 250 mg, starting only one day before you ascend and to stop if you are one day at the highest altitude of your destination without problems. The in in South America very popular ‘Soroche Pills’ containe the same working ingredients as asprine, mixed with caffeine. It is probably better just to take Paracetamol instead. Martijn Steijn, founder and General Manager of Fairtravel4u.